In-house AV vs AV company – which is right for your event? With on-site audio visual services frequently being available in many venues, it can be tempting for Event Managers to select these rather than considering external audio-visual providers. However, when given the choice which is the best option for your event? There are some big pros and cons, as well as some misconceptions, to bear in mind here. For example, an event organiser can often automatically opt with an in-house audio-visual supplier on the assumption that this is the cheapest option. This is often not the case, as venues frequently hire in from a local audio visual supplier and can mark up the cost quite significantly as an additional revenue generator. If they have in-house equipment of their own, the specialist skills required to maintain and set up more sophisticated items are usually lacking which affects the reliability and quality greatly. In addition, the prices are usually higher than going directly to a specialist audio visual supplier. It is always worth questioning the venue to see if they will let you use an external audio-visual provider – they won’t always tell you this is an option of course! There are some pros of working with an in-house audio-visualteam. For example, they can be more flexible with last minute changes and there are minimal or no delivery charges as their equipment is likely to be local. If the organiser is looking to receive all the paperwork for your event in one bill and are not planning a high-tech large event, this may work out as a viable option. However, many of our clients demand more from the event; and therefore their audio-visualteam. Many Event Managers are pleasantly surprised when our costings work out better value for money than they originally anticipated, and frequently, better than the in-house providers. Some of the big-hitting benefits of using an audio-visualsupplier include the superior quality of both the equipment and experience of the staff on the job. The relationship and knowledge gained will benefit the clients’ business in the long-term and help anticipate future event requirements, as well as maintaining consistency across venues (e.g. a roadshow across five venues can be kept more consistent by using the same supplier). With Insight in particular, each event is managed by a dedicated (and consistent) project manager to oversee every detail. This not only takes the burden away from the event organiser, but helps ensure that nothing is lost in communication, as the relationship is direct. As reported by Event Magazine, there is a certain piece of mind that comes from knowing your audio-visualsupplier is working for you, rather than the venue, so can best represent your or the end client’s interests throughout. 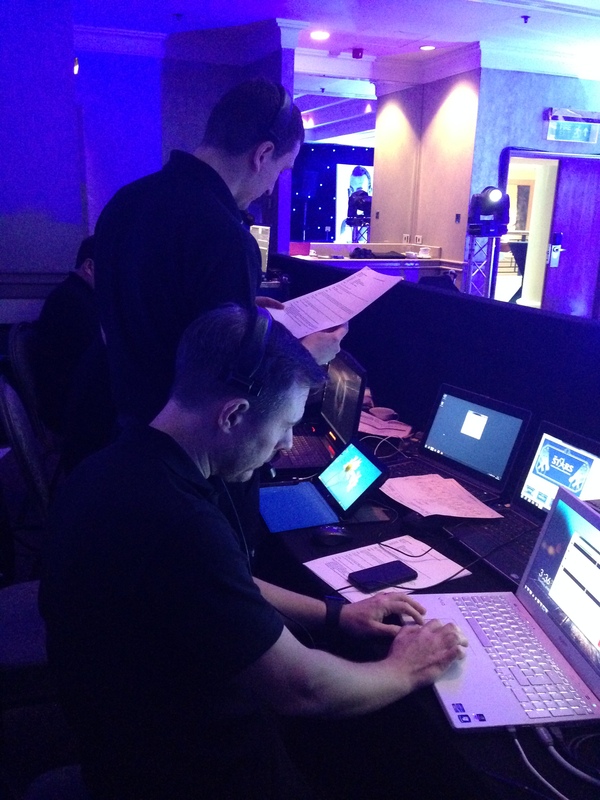 All of this leaves us with one final statement… Event Managers must thoroughly consider their audio-visualrequirements for their next big event! This article was posted in Blog and tagged audio visual, av, av company, awards ceremony, conference, conference organiser, event, event managers, event supplier, in-house, venue. Bookmark the permalink. Follow comments with the RSS feed for this post.Comments are closed, but you can leave a trackback: Trackback URL.